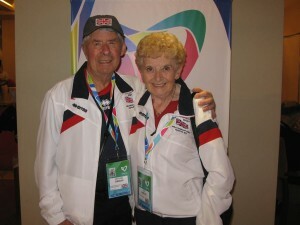 The importance of organ donation is highlighted by one of our village residents, Mike Gibbons, who underwent surgery to accept a kidney transplant donated by his wife Ann in 2007, and has won a number of medals in Transplant Games competitions over the intervening years. Most recently, he won a gold medal in the 2015 World Transplant Games in Argentina. Mike is keen to spread the word about organ donation. There is information on the NHS web (www.organdonation.nhs.uk) or you can call 0300 1232323 to find out more about signing up on the donor register. Mike is happy to talk to anyone on the subject, and he has some of the appropriate registration forms available if required. They are simple, uncomplicated forms, registration costs nothing, but potentially could be the route to saving someone’s life. the ‘how’, and by what grace they are there. and when the donor happens to be the love of your life – how very special is that”.